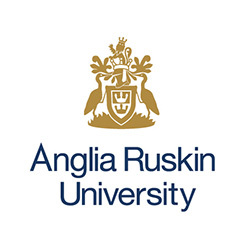 Anglia Ruskin University is a public university in East Anglia, United Kingdom. It has 39,400 students worldwide and has campuses in Cambridge, Chelmsford, Peterborough and London. It also shares campuses with the College of West Anglia in King's Lynn, Wisbech and Cambridge.